MyTutoring has been providing quality in-home private tutoring services in Hamilton, Burlington, and Oakville for over 7 years. Our services sprung out of the need of students for exceptional tutoring in accounting, finance, math and computer science subjects. Our team has experience with students of all levels and ages, from elementary school to college level courses. Moreover, we focus on subjects that are of great importance in the developing job markets and set strong foundations for further development and success. Our goal is to focus on developing individualized learning programs catered to students and their families. We understand that students learn differently and focus on finding the way that allows the student to be successful in the Canadian educational system. Click here to see a list of all the courses we provide tutoring for. If your course is not listed there, you can still contact us and we will try our best to accommodate your needs. Hamid, owner and founder of MyTutoring, graduated from Electrical Engineering and Management from McMaster University. He has been working in the Software industry as a Software Developer, Tester, and Project Engineer for over 5 years. He has recently acquired his Professional Engineer in Ontario (PEO) and passed his Chief Financial Analyst (CFA) Level 1 Exam. During his undergraduate career, he worked as a Research Assistant in the engineering, finance, and accounting fields. 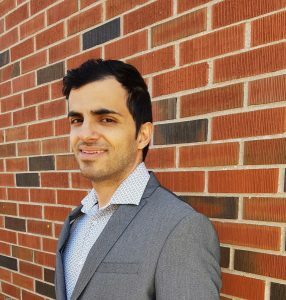 Throughout his student and professional career, Hamid has gained extensive knowledge in both engineering and business fields that he wants to transfer to his students. His passion for tutoring started when he was in his second year of university and his classmates asked him for help with their math course. Ever since, he has been referred and helped many students in elementary, high school and university courses to achieve high grades and understanding of the material. He is not just a tutor, but a passionate learner and professional that wants to inspire his students to master the material and promote the best academic decisions for their future careers.